Your New Home Sweet Home Awaits! 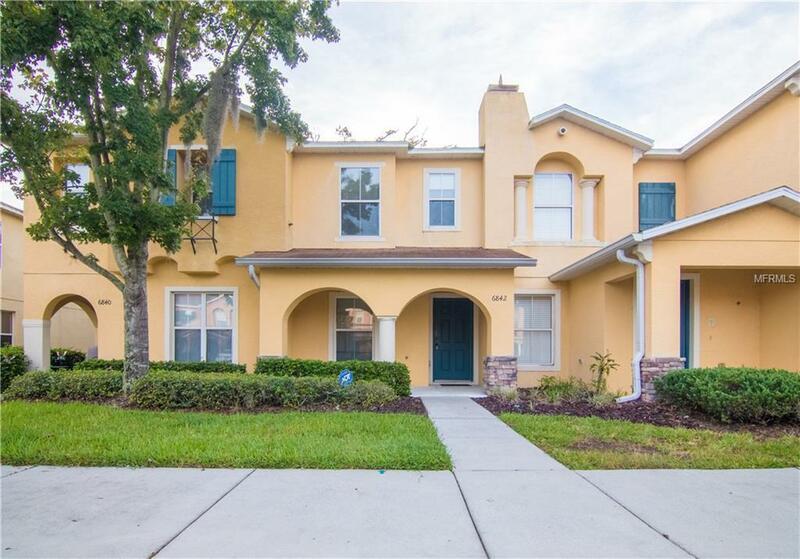 **Move-In-Ready** SPACIOUS Townhome is a MUST SEE with two Master Bedrooms PLUS community with an Ultra Convenient Location! Come enjoy the Townhome lifestyle with HOA taking care of all Outside Maintenance and your Water Bill paid with your dues! Get ready to fall in LOVE! Bright and Open Living Room/Dining Room Combo lets you create your own space and offers Slider out to the Back Patio with a View. Kitchen with Breakfast Bar and nice counter and cabinet space. For convenience there is a half bath downstairs for your guests. Upstairs you will find TWO Master Suites - Main Master offers Large Bedroom with 2 Closets and Master Bath. 2nd Master with Own PRIVATE Full Bath. Huge Upstairs Laundry Room- right where you need it! Enjoy your back patio with a great water view - perfect spot to have your morning coffee! You will Love the Townhome lifestyle with No Outside Maintenance, Water Bill paid with your dues and enjoy Relaxing by the Community POOL! Start Planning Your Move Now! Great location! - Easy access to US 301, I-75, Crosstown Expressway, Schools, Shopping, Dining and Entertainment. Be sure not to miss this one! Additional Lease Restrictions Leasing Application And Fee Required By Association. Minimum 12 Month Lease. Pet Restrictions 2 Pet Maximum. Max Of 40 Pounds Each.